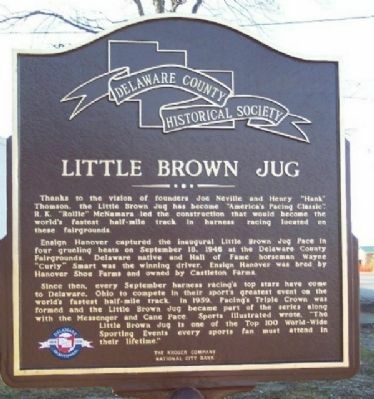 The Little Brown Jug Oral History is a project of the Delaware County Historical Society in cooperation with the Delaware County Fair and the Little Brown Jug Society. The LBJ Oral History Project is a comprised many activities. 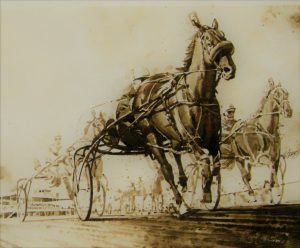 At the core is creating audio recordings of professionals and non-professionals associated with the Little Brown Jug harness race. But capturing that history is only the beginning. Sharing that history with diverse audiences includes development and dissemination of: an activity/scavenger hunt booklet for children; pop-up banners with photos and text concerning the race’s history with links to audio and video files; web pages and a set of flash drives that will provide information about the race’s history, personalities, and interview clips; interactive panel presentations including oral history interviewees, the compilation of video and audio interviews plus text transcriptions into an archive suitable for scholarship. Please help fund this project to capture this vital part of Delaware County History for the community and future generations. We thank all the organizations collaborating in this project: The Little Brown Jug Society, The Ohio State University Center for Folklore Studies, and the United States Trotting Association. The Little Brown Jug Society was formed in 1944 by the founders of the race, Joe Neville and Hank Thomson. The society was involved in the newspaper contest that produced the name of the race. It has been the organizing entity that receives applications and purse contributions to the race since its inception in 1946. Each year the Society votes to award an individual the honor of being on the Wall of Fame in its famous Log Cabin on the grounds of the Delaware County Fair (235 Pennsylvania Avenue, Delaware, OH 43015). 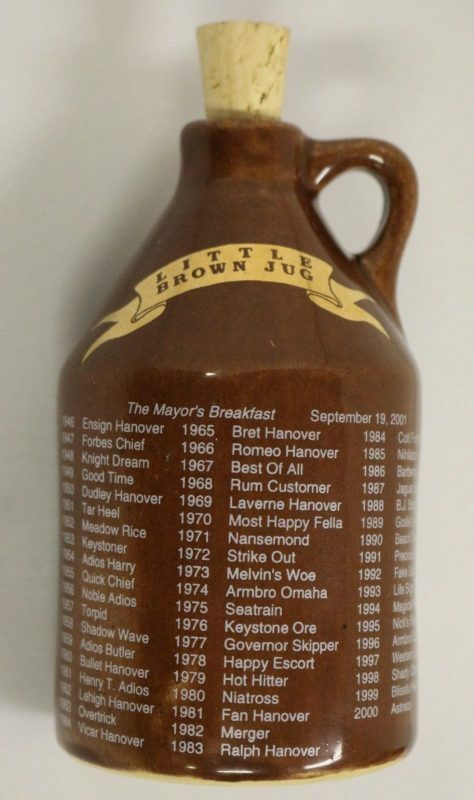 There are 25 members of the Little Brown Jug Society; its president and historian are members of the oral history advisory committee. The United States Trotting Association is a not-for-profit association of Standardbred owners, breeders, drivers, trainers, and officials, organized to provide administrative, rulemaking, licensing and breed registry services to its members.